TRON: Uprising Season 2 - The Victory of Success!!! 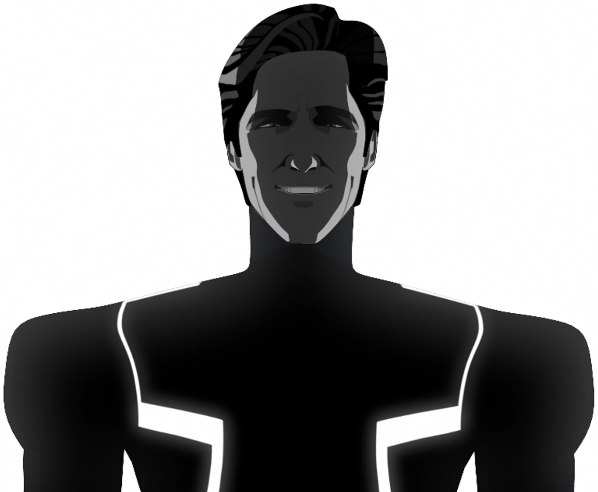 RE: TRON: Uprising Season 2 - The Victory of Success!!! I looked at Boxleitner's twitter page and he denies ever having said that. Where did this rumor come from? Oh and hi everyone. I'm new here. EDIT: However do I detect a hint of sarcasm in your post or is that just me? it's not twitter that important but youtube news report from chatting face to face is. so, he always tells the truth and no lies. and im not sarcasm im intelligent. as he still denied this on twitter, i am going to wait for more news before believing anything. im a very skeptical program!! Finally an update!...and a big one! After a hiatus, it’s news time (finally!). Let’s start with what we’ve been doing here at SMGO. First, we’ve been traveling (quite a lot actually) and speaking with a lot of influential people in tech and entertainment. Right now, while we’re still small, and it’s crucially important that we develop the relationships we need to be able to save your show, regardless of the network it falls in. We’ll be announcing a few additions to our team in the next few weeks – possibly sooner if all goes well. But enough about us – you’re probably here for some rundown on your show, and where that’s going. Because there really is a lot to talk about, we’re going to be doing a series of updates. To start our updates this week, let’s chat about the ending of our first campaign. Hello Tron fans and Motorcitizens! It’s been awhile since we’ve had time to really talk about your shows, so let’s give you a brief update. First, we realized from the YJ campaign that we underestimated our translation of votes in to actual dollars – so while both of your fan groups are super enthusiastic about bringing your show back, we’re going to need to push the voting benchmarks higher on both of your shows. We truly hate pushing the hurdle farther away, but we (wrongly) assumed that because animation is significantly cheaper to create, it would take fewer votes for a “downpayment.” What we didn’t realize is that the demographics for these shows consists largely of people unable or unwilling to pledge (so a vote works out to less than we assumed in terms of monetary value). This is going to be an across the board thing – every show will have to get over a 15,000 vote hurdle moving forward. The good news with the change is that if people understand that a vote means they’ll pledge and a campaign reaches its voting goal – we’ll be able to put up enough money to have a DTV video at the start of the campaign (meaning things can only get better). The more swag they’re willing to pledge for, the more likely we can reach those goals moving forward! All of this being said, we still will bring both shows up when we do meet with the parent studio to make sure they’re realistic candidates on the studio end. Yes, I was minding this article, and I'm glad to see that SMGO is both gaining a better model of how to proceed with the public, but also a better framework of understanding how he can integrate his efforts into the production sector of the various series' he hopes to help fans connect with. RE: My Very First Encounter with Bruce Boxleitner!!!!!!! GREATS NEWS, EVERYONE!!!!! - THE CAMPAIGN GOES ON ITS PLAN: LAST WEEK ON SATURDAY THE 14TH I HAVE SEEN THE ORIGINAL ACTOR BOOK SIGNING UP "BRUCE BOXLEITNER" INSIDE AT FORBIDDEN PLANETS MEGASTORE IN LONDON. HE KNOWS ABOUT THE PETITIONS AND HE AGREES TO SIGN UP ON SMGO.TV AND CHANGE.ORG AND WE'RE GONNA CONTINUE AND HE WILL CONFIRM TO RENEW TRON: UPRISING FOR SEASON 2. BUT NOT NOW, LET HIM DECIDE SOONER OR LATER, WHEN THE TIME IS RIGHT: THEN OUR VICTORY IS WILL BE AT HAND, YOU KNOW WHAT THAT MEANS? It's excellent to see his support, and I hope that his involvement provides some welcome spirit to the many fans of all things TRON, especially the supporters of Tron: Uprising. After all, concrete information on the continuation (or successor) of the series is short, and with only the strange non-cancellation limbo as our 'reply' in Disney's silence, any news is good news. It seems that even Annie Awards and an Emmy are not enough to make Disney mumble a word. I hope your meeting with him was good, and likewise that his presence there brightened the day of many a fan, whether of him as Tron, or in his place amid the RISE project. Awesome! This is great news Thank You Bruce Boxleitner, this really shows how much the series is loved when the biggest tron actor in the show is supporting us. Tron Lives! I just found this info online for a possible plot of season 2 episode 1 of uprising click the link to read it. Following the arrival of Clu, he and Tesler begin the first stage of their master plan by transporting a mysterious device into Argon. After failing to apprehend it, Tesler activates the device at Argon Square which then immobilizes all the programs in Argon City.